Two students from the University of Nebraska–Lincoln’s Department of Computer Science and Engineering have been selected as the winners of the ITI Data Vision in Technology Scholarship for the academic year of 2018-2019. 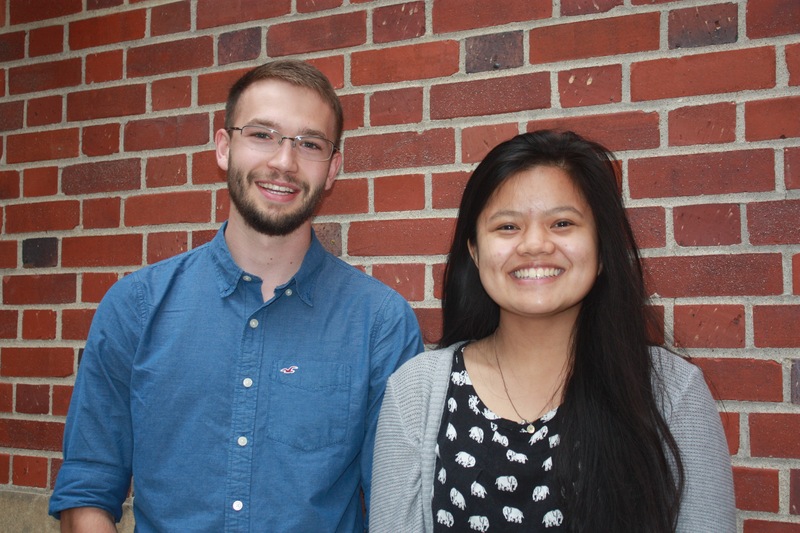 Colton Harper and Tuyet “Mickey” Tran were announced as scholarship winners on June 20. They will be presented with their awards at the department’s 50th anniversary celebration on Sept. 6. Harper and Tran were selected for the scholarships by faculty based on 2-page vision statements they submitted about impacting the world through computing. Each will receive a $12,500 one-year scholarship that will allow them to focus on their studies and the pursuit of their vision. Through the generous support of ITI Data’s CEO and founder, alumnus Brian Vaske, the department was able to offer the ITI Data Vision in Technology Scholarship to two students based on their academic accomplishments and the quality of their written statements. “I am incredibly proud of all the students who applied for the first ITI Data Vision in Technology scholarship, and I’m especially proud of Colton and Mickey for their level of accomplishments and innovativeness that illuminates the strength of the computer science program at UNL,” Vaske said. Vaske said the department’s upcoming milestone was the perfect opportunity to give back to his alma mater. “As the program reaches its 50th anniversary this year, I thought it was an optimal time to increase my involvement and support of the department who played such an important role in my personal and career development,” Vaske said. The scholarship recipients will spend their upcoming school year pursuing additional academic achievements as well as the impactful initiatives they proposed in their scholarship applications. Colton Harper’s vision statement focused on the responsible advancements of technology by helping to build and connect a diverse community of people. Harper has already begun work on his initiative by organizing the Broader Consideration of Technology movement, which will include a 4-part interdisciplinary lecture series open to the public, a bi-weekly newsletter, and an annual conference. Harper is also the founder of the CSE Ambassadors, a student organization dedicated to giving back to the community through computing. Last spring, Harper was also inducted into the Innocents Society, the Chancellor’s Senior Honorary. During the 2018-19 school year, he’ll continue his research on engineering communications between biological cells with assistant professor Massimiliano Pierobon in the MBiTe Lab. He’ll also be working on his senior thesis for the University Honors Program and applying to several graduate schools with plans to pursue a career in academia. Mickey Tran’s mission will involve bringing together the Lincoln STEM community to provide more computing education at all learning levels. Tran is already actively involved in many community and educational initiatives, and hopes to facilitate collaboration between them. Last year, Tran was selected as one of four students in the university’s inaugural class of Innovation Fellows, and will continue her fellowship this year by working to expand learning opportunities with educational professionals from Beyond School Bells. She’ll also serve as the educational chair for the CSE Ambassadors and begin robotics research with assistant professor Brittany Duncan. In addition, she’ll participate in setting up the department’s first undergraduate assistant learning program, designed to improve first-year student experiences.